There are some midweek matches in La Liga over the next few days. Plenty to consider when it comes to the betting. Sevilla versus Real Madrid and Valencia versus Celta Vigo are the stand-out matches. Check out the odds and ratings then give us your tips for these games! @Pep004, @Magic0024, @betcatalog, @malabgd, @AndreBR, @Xcout, @four-leaf, @sajtion, @Arkadi Manucharov, @Jamesboaz, @RealUnited, @allyhibs, @jazzman02, @Mr.Paul, @notanotherdonkey, @Marek76, @freestylerx, @DonPaulo, @fhuefdsa, @laprikon, and @derbent, what bets are you guys lining up here? Eibar has under 2.5 goals in their last 3 away games in La Liga. Espanyol has under 2.5 goals in their last 3 home games in La Liga. Real Sociedad has over 2.5 goals in their last 3 home games in La Liga. Rayo Vallecano has under 2.5 goals in their last 6 away games in La Liga. Eibar scored in last 3 games in La Liga. Interested to see how the Real Sociedad versus Rayo Vallecano match weighs up. 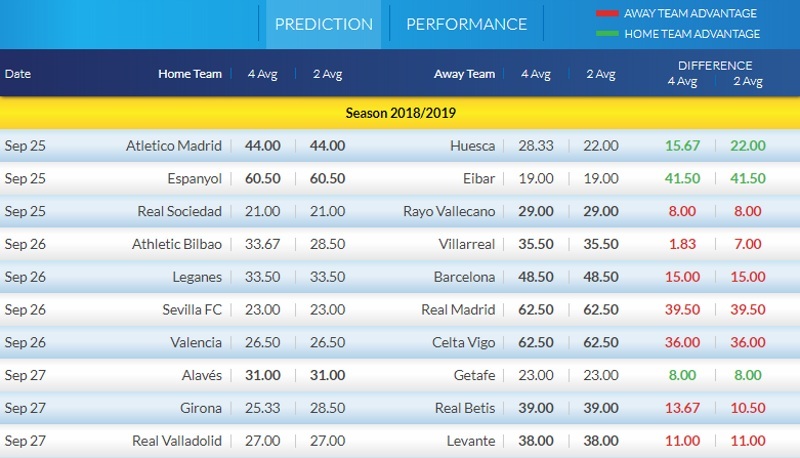 Contrasting over/under goals form and the ELO ratings favouring the away side. Getafe has under 2.5 goals in their last 6 away games in La Liga. Alaves won their last 3 games in La Liga. Alaves scored in last 3 games in La Liga. Alaves allowed opponents to score over 1.5 goals in last 3 home games in La Liga. Real Betis ended draw their last 3 games in La Liga.